Once a month, the library hosts a treat workshop for students in grades 6-12. 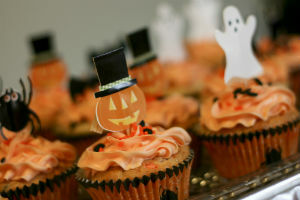 Students drop in to decorate goodies like cookies or cupcakes with frosting & candy. Each workshop's theme or type of treat is decided by the members of the Teen Advisory Board. Contact Jill at jhayes@cwmars.org or drop by the Reference Desk to sign up. All teen activities are generously sponsored by the Friends of the Harvard Public Library.